An incredible design that is both stylistic and classical. A watch that will be passed on down to the son, kept for years for it's function ability and looks. beautiful black leather band made for long wear and comfort.. a design that look wonderful and will be a classic in the years to come. Love the design and so does he. This stunning Akribos XXIV men’s timepiece features a precision automatic movement with the dial cut away to reveal the fascinating inner workings. 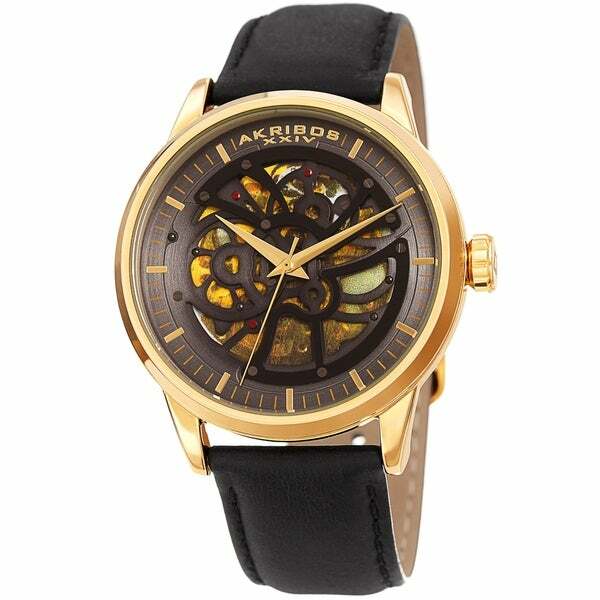 Eye-catching and classically designed with a stitched genuine leather strap, this watch complements any attire.